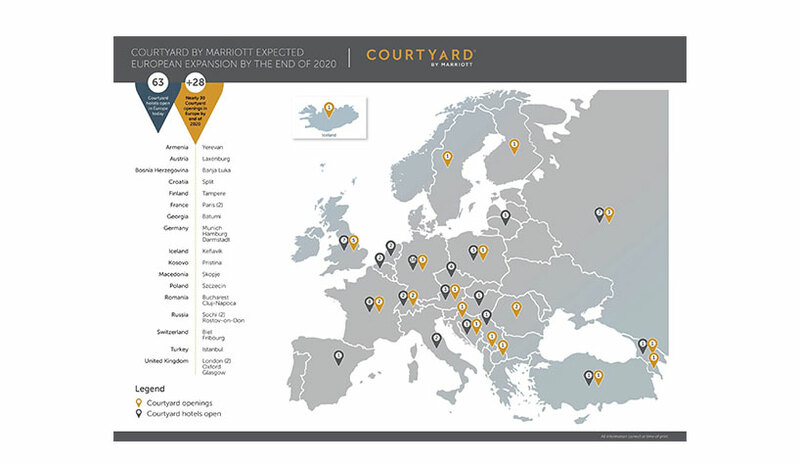 Courtyard by Marriott expected European expansion by the end of 2020. LONDON—Courtyard by Marriott expects to further grow its European footprint of 63 hotels by almost 50% over the next two years, with nearly 30 hotels anticipated to open in Europe by the end of 2020. In addition to strengthening its portfolio in the established markets of Germany, France and the U.K., Courtyard is continuing its first-to-market approach with anticipated debuts in seven emerging destinations including Armenia, Finland and Iceland. This growth announcement is enhanced by two new flagship properties in Paris and Hamburg, Germany. Courtyard Paris Gare de Lyon opened in October while the Courtyard Hamburg City is scheduled to open in Spring 2019. Courtyard Paris Gare de Lyon—This hotel brings to life the brand’s new design vision for its properties and is located in the city center. The 19-story tower incorporates a contemporary look and feel and offers views of Paris and its landmarks throughout its 249 guestrooms. The property is convenient to the Gare de Lyon station, a key travel hub and international gateway. Courtyard Hamburg City—Located in the heart of Hamburg, this 276-room property will be close to the Central Station and will be well-equipped to host a range of business and conference events. U.K.—The U.K. market already has seven Courtyard hotels and is slated to further expand its portfolio with the addition of five hotels in cities such as London; Glasgow, Scotland; and Oxford, England. France—Following the opening of Courtyard Paris Gare de Lyon, the footprint in France is expected to grow to 10 hotels with eight in Paris. Germany—The upcoming opening of Courtyard Munich Garching will pave the way for a further three properties anticipated to open in Hamburg, Munich and Darmstadt. Once open, these hotels will bring the Courtyard portfolio in this market to 18 hotels. Market Entries—The brand is also expected to make its debut in numerous markets over the next two years, including Romania (Cluj-Napoca, Bucharest Floreasca), Armenia (Yerevan), Croatia (Split), Finland (Tampere), Iceland (Keflavik), Georgia (Batumi) and Macedonia (Skopje). 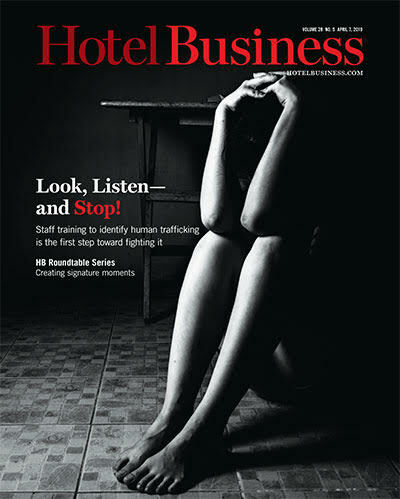 The accelerated growth of the brand is largely driven by franchise partners who recognize Courtyard as a dependable and proven product that offers quick entry to market, access to world-class global sales platforms and the backing of Marriott International’s industry leading loyalty programs. In early 2018, Courtyard announced a multi-year partnership with FC Bayern and became the official hotel partner for Germany’s football club. The partnership now gives the 120 million members of Marriott’s loyalty programs—Marriott Rewards, The Ritz-Carlton Rewards and Starwood Preferred Guest (SPG)—access to once-in-a-lifetime football experiences through Marriott Rewards Moments and SPG Moments. Experiences include access to a custom-built executive box offering views of the pitch in the Allianz Arena.